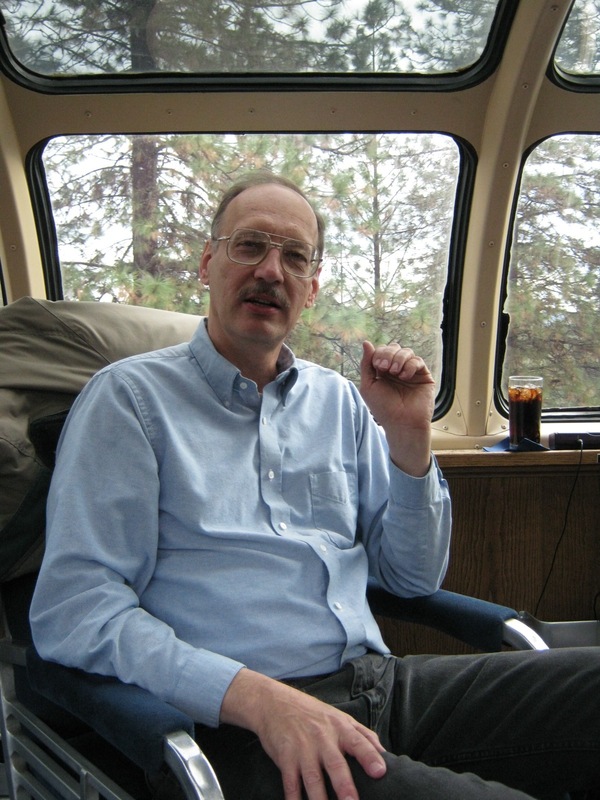 I called my wife with instructions to pick me up at the Roseville Amtrak station and when #5 pulled in to Colfax, I hopped on board the “Sierra Hotel” – a one million dollar renovation of a dome-observation car. This is a five-star act folks. A good wine selection, on-board chef, luxury appointments throughout, a very attentive staff in each of the private cars. No sooner was I on the rear deck than I was offered a glass of wine and an invitation for a gourmet lunch. Up in the dome car the views were fabulous and the experience of riding on the rear platform was not to be missed. 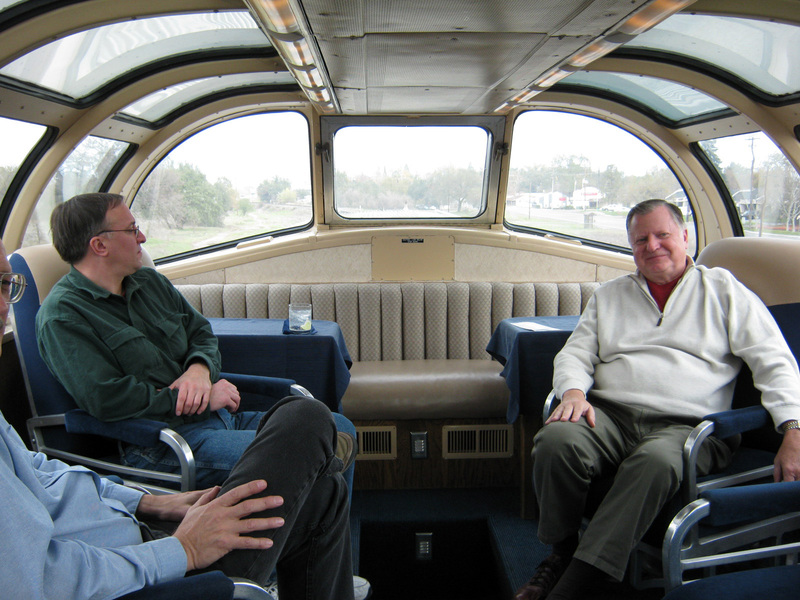 Since this was a “repositioning move” designed to get the cars to west coast for the beginning of the charter season, there were only two paying passengers, Dan and one other. The attention from staff was complete. Dan had a laptop in the dome with Topo USA running. Earlier he had tried the ATCSMon software but there are so many frequencies in use on the line that it made things too difficult, so he gave up. Dan is now on his way up north (by train) to Seattle to catch the Empire Builder across the top of the country to Chicago, then he’ll take the Lake Shore Limited back home. My Foaming meter was on full by the time I got to Roseville. 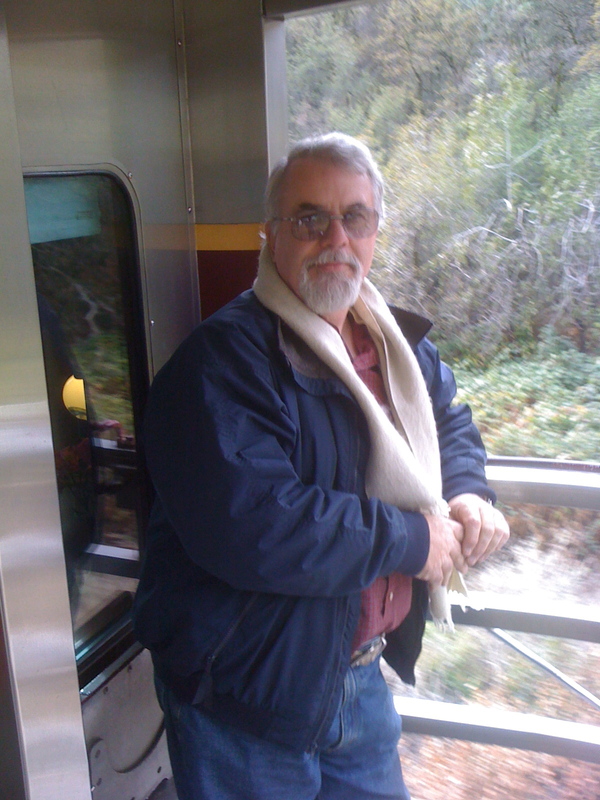 This entry was posted in Great Basin and tagged Amtrak, Colfax, Roseville, Sierra Hotel, Sierra Nevada, Travel. Bookmark the permalink. 5 star dining and a fine glass of wine; I can’t think of a finer way to travel. When you include the view, it really looks like a spectacular trip.